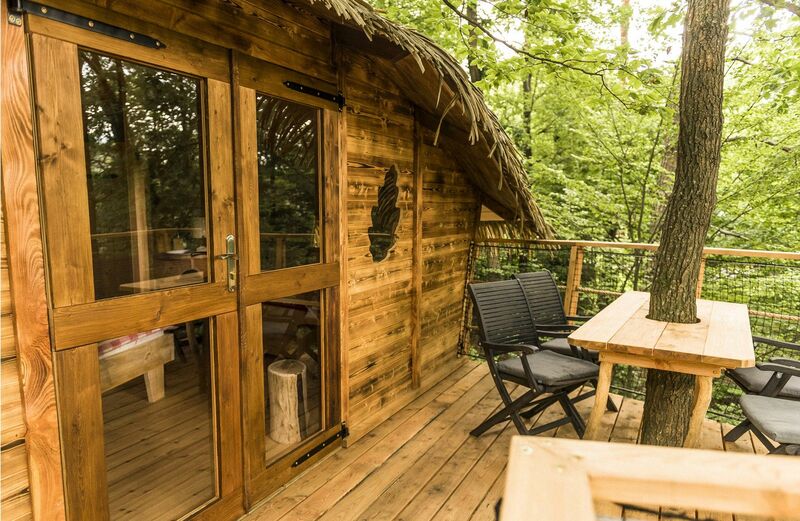 Come to our place to relax and recover your vital energy in the arms of nature, and experience the remarkable romance in treetops! 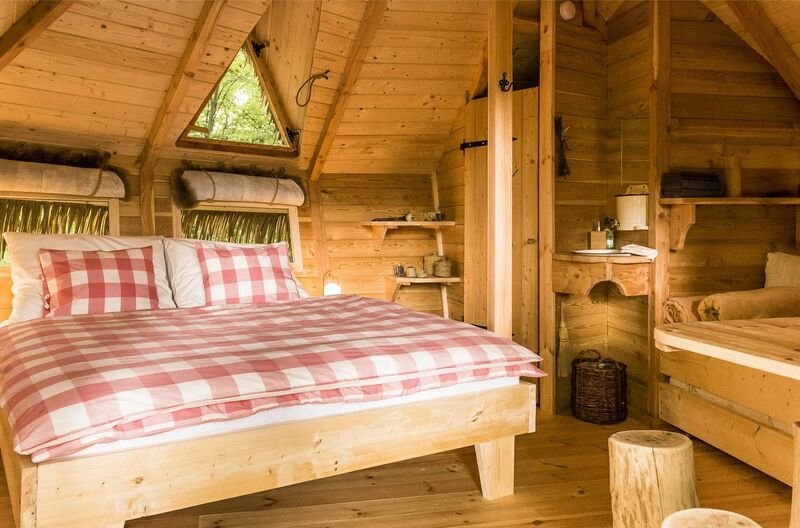 Enjoy a night over the heads of grazing deer and during the mysterious hoot of an owl family. 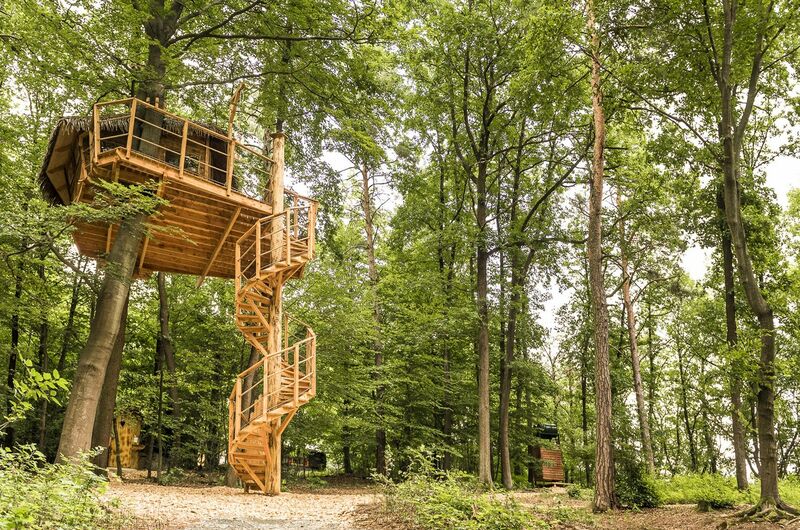 The first Pyskočely tree house is located in the picturesque Sázava river region, in the village of Pyskočely about 45 km southeast of Prague, between the town of Sázava and Stříbrná Skalice. It offers a unique view of the Ve Studeném National Nature Reserve, on the left valley slope of the Sázava river. You will be surprised by the preserved beech forests (there are massive beech trees that are over 250 years old!) and scree forests, often with a virgin forest structure. Sufficient natural regeneration dynamics and a high diversity of tree species offer a home to many species of animals and birds. 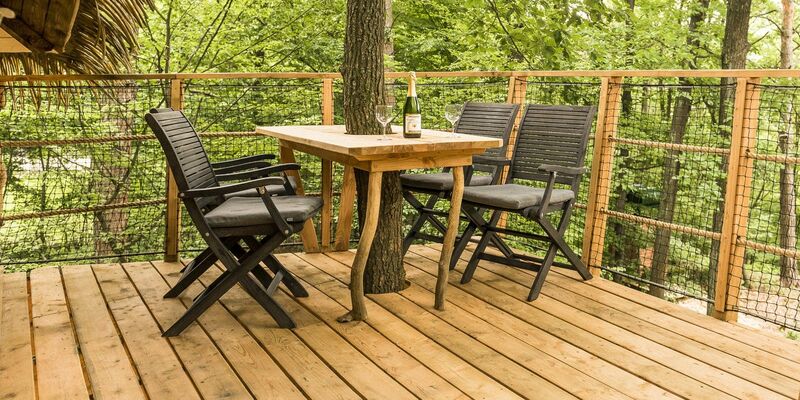 Accommodation in tree tops is the absolute return to nature without connection to electricity and water. Yet, wine selection, lamps and a cooker are still available, as well as drinking water. You can take a shower in the natural shower directly beneath the house. 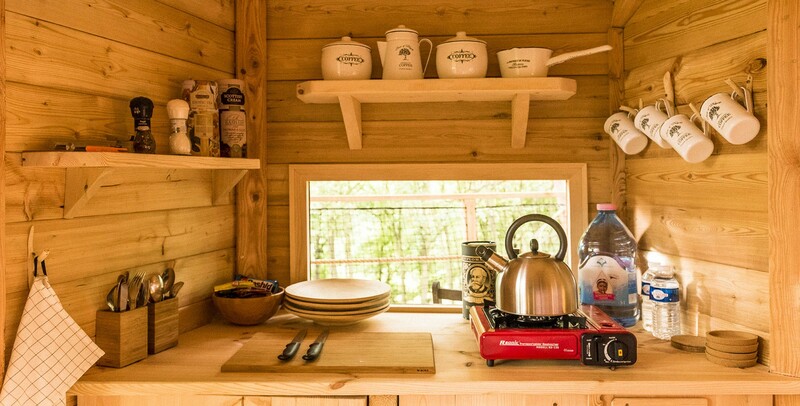 The tree house can be heated up lightly using a stove, but we recommend you to pack some warm clothes in cold weather. 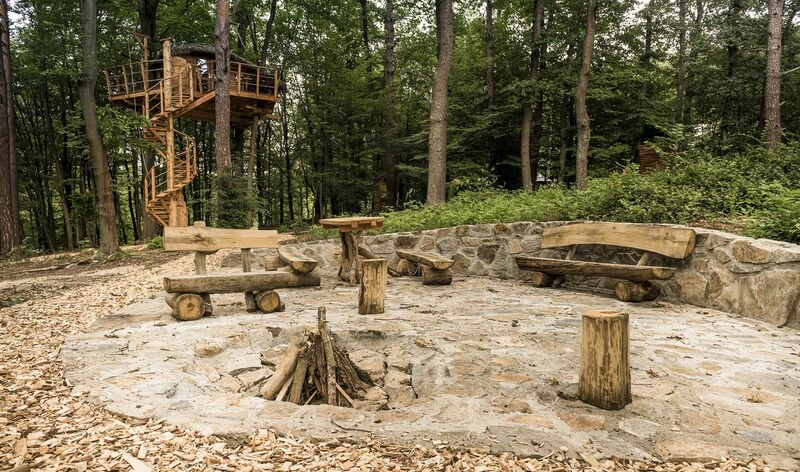 We also provide a nice fire ring and barbecue place in the forest environment, and we can prepare high-quality food from local farmers for your ultimate gourmet experience. Choose one of our hearty breakfasts and enjoy it at a height of seven metres, where you can pull it in a picnic basket. Lovers of active lifestyle can rent a tennis court (only 200 metres away) or mountain bikes. The minibar offers a wide range of both alcoholic and soft drinks. The excellent wines from French family vineyards are definitely worth tasting. Where to go on a trip? We have „Economy” type of breakfast included in total price, which is: butter (spread butter or cream cheese), ham (98% meat), sliced cheese, cereal, cheerio’s, juice, fruits or vegetables, milk and bread. Coffee and tea will be available whole period of your stay. For an extra charge of 150 CZK per person we can prepare breakfast “Royal” for you which is enriched by high-quality yogurts, 3 types of sausages and pate (all from local butchers by their own productions) and minimum of 4 kind of cheese. 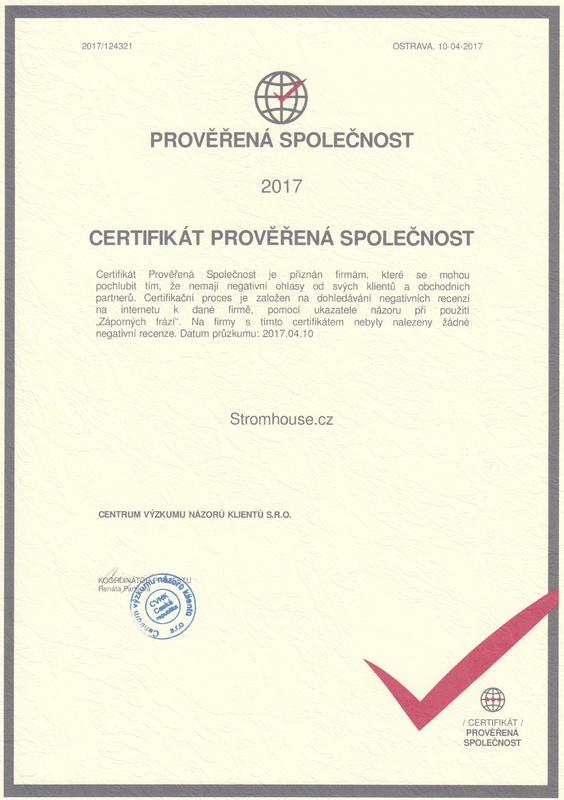 If you let me know at least 2 days in advance, we can also arrange for you some delicious smoked meat or smoked sausages for campfire just next to our wood bryony “Stromhouse” or a very good quality meat (from of domestic breeding – Scottish mountain Breed) on the grill to be prepared by yourself. Till to 1 week from our booking confirmation is required a deposit of 1000 CZK per night. In the event that this deposit is not properly paid after our the reminders, the reservation will be canceled. If your reservation will be canceled, the deposit in all cases will be forfeited in favor of Stromhouse and the claim for repayment will be void. Upon change of deadline within 14 days prior to arrival, the deposit is valid at the new date. In the calendar, first select the day of your arrival (1st click) and then the day of your departure (2nd click). By sending your booking you agree to the information contained in the: "Declaration of Compliance with Safety Instructions", Cancellation Conditions and with Processing of Personal Data.